Supreme Nole reigns in Shanghai, returns to no.2! Novak wins third US Open and 14th Grand Slam title! 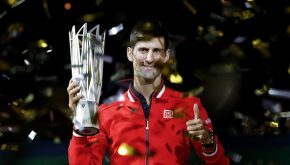 Impressive Novak wins record fifth title in Indian Wells! Nole dominated from start to finish in a flawless 6-2, 6-0 victory over Raonic, equalling Nadal's record of winning 27 Masters titles. 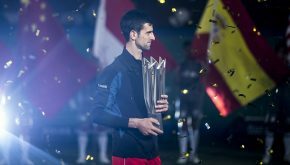 Nole wins Beijing-Shanghai double, captures 25th Masters 1000 crown! Novak beat Jo-Wilfried Tsonga 6-2, 6-4 to win his ninth title in 2015 (three Major trophies, five Masters 1000 shields and one ATP 500 crown). Invincible Nole extends reign in Beijing, wins sixth China Open crown! 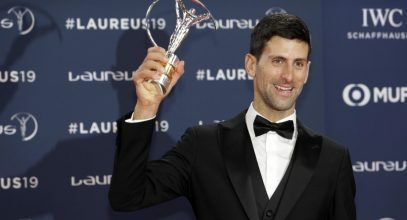 Novak captured his eighth ATP World Tour title of the season and 56th of his career over no.3 seed Rafael Nadal 6-2, 6-2, in the final of the China Open on Sunday. 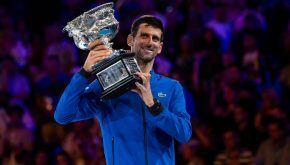 Nole serves up masterclass to capture second US Open title! 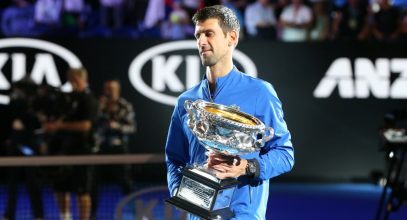 With a simply outstanding performance, Novak defeated Roger Federer 6-4, 5-7, 6-4, 6-4 to win his 10th Grand Slam trophy. Novak fends off Federer to win 50th title, fourth in Indian Wells! Nole beat second seed Roger Federer 6-3, 6-7 (5), 6-2 to capture his fourth Indian Wells crown and 21st ATP Masters 1000 title. 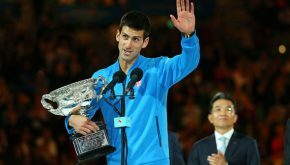 Novak makes history, beats Murray to clinch fifth Australian Open title! The world no.1 beat no.6 seed 7-6 (5), 6-7 (4), 6-3, 6-0 to win an eighth major, joining Jimmy Connors, Ivan Lendl and Andre Agassi in fifth place on the Open Era major titles list.